Lawn Turf from Summerhill Lawns - the green, green grass of Ireland! Lawn Turf Summerhill Lawns are leading growers and national supplier of cultivated turf for all turf users. As lawn specialists in lawn turf production we supply a wide range of turf for different uses in DIY, landscaping, sports pitches, golf, and all amenity sectors. Lawnturf from Summerhill Lawns is Irelands biggest selling and most frequently specified, being the first choice for both professional landscapers and experienced gardeners who demand the best. 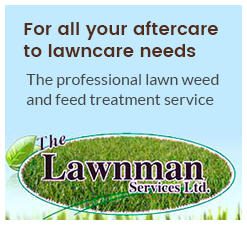 We supply nationally to all lawnturf users both large and small. Summerhill Lawns Ltd is used by many well known companies and organisations, including Aras on Uachtaran, Botanic Gardens, Office of Public Works, many golf clubs throughout the country including the K-Club of Ryder cup fame, large and small building developers, GAA pitches, Landscapers, golf course construction companies and many Garden Centres. A purpose grown cultivated lawn turf suitable for domestic lawn uses and landscape projects. The selected seed cultivars offer enhanced performance in all quality landscape situations. Is available throughout the year and can be laid at any time of year. 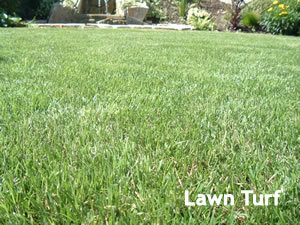 A high quality cultivated lawn turf purpose grown for its colour and fine leaf appearance. The characteristics of Summerhill Ornamental Lawnturf also make it ideal for a variety of landscape applications, including ornamental domestic lawns. With the correct care and attention a lawn laid with Summerhill Ornamental Lawnturf can provide you with a perfect fine leafed grass surface for years to come. leaf appearance. As Turfgrowers we are constantly trying new grass mixtures to make them suit for different situations and we have developed this turf for its slow growing characteristics and good green colour.